Jadeite is a silicate containing sodium and aluminum. 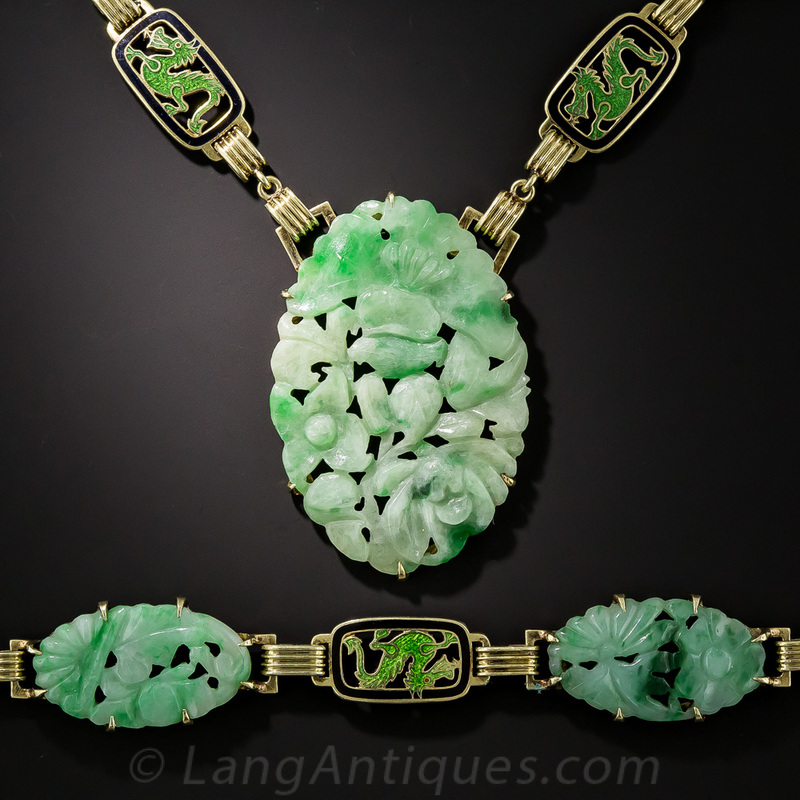 Jadeite occurs in a very wide range of colors, translucencies and textures. One must also remember that currently the great majority of jadeite commercially available has undergone treatment to improve its color and translucency. Often the color may not be stable in treated jadeite or the actual structure of the jadeite has been compromised. It can be very difficult to discern treated jadeite from untreated stones. It is imperative that you buy jade from someone who understands the current treatments and has facilities available for thorough testing. Jadeite was known and highly valued by the Olmecs, Mayas, Toltecs, Mixtecs, Zapotecs and Aztecs. Carbon dating done on wood fragments found in Mexico in association with jadeite, dates it's use back to 1500 B.C. Jadeite from this locality was usually carved and used ceremonially. There were numerous jadeite artifacts found in tombs, including necklaces, pendants, bracelets, diadems, earrings and statues. The Spanish conquistadors are solely responsible for destroying not only the art of jade carving in the Americas but also the sources for the jade. In the mid 1700's, China first began to receive jadeite from Burma. It was called "new jade" and presented as a gift to the Emperor. Before that, all examples of Chinese jade were the mineral nephrite. The study of Chinese symbolism associated with nephrite and jadeite is a vast and esoteric topic. Jadeite is associated with Gemini, Aries and Libra, and is believed to strengthens the kidneys, heart and immune system. It balances emotions, increases fertility, dispels negativity, and fosters courage and wisdom. Green jade is famous for producing vivid and accurate dreams when placed under a pillow. Similar Stones: Jadeite can be confused with dyed quartz and calcite, chrysoprase, aventurine and other quartz varieties and glass.